Besides serving as a technology demo for the company's impressive bezel-less display design, the original Mix was also treated to a true flagship specs sheet through and through, for a well-rounded, albeit not exactly easily attainable offer. Now that the Mix 2 is a lot more sensible and likely intended for a wider audience, it only makes sense to stick to high-end flagship internals. After all, €420 is quite a pretty penny in Xiaomi terms, so prospective buyers are rightfully going to expect strong performance to match the stunning exterior. The Mi Mix 2 does not disappoint. Qualcomm's Snapdragon 835 is still one of the top dogs around. 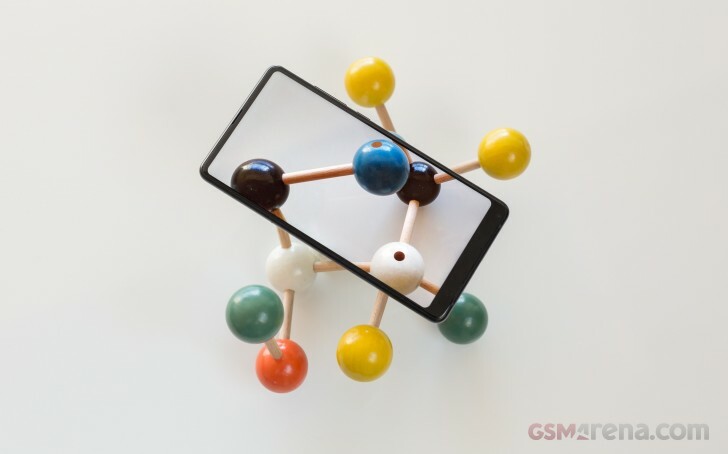 As for memory, while we still stand firm by our belief that 8GB are a total overkill in the current state of Android OS and especially app ecosystem development, there are some potentially viable cases to be made for running 6GB of RAM. With that in mind, it is nice to see that Xiaomi bumped-up its base memory option to 6GB this time around, with 8GB only reserved for the Special edition. Keep in mind, however, that depending on your personal needs and usage pattern, storage might still be a bottleneck, since Xiaomi skipped on a microSD card slot once again. Still, with both a 128GB and a whopping 256GB Mi Mix 2 variant on offer, it is just a matter of balancing your storage needs and budget. Starting off with GeekBench and some pure CPU-based synthetic loads, the Snapdragon 835 inside the Mi Mix 2 performs about as expected. We do say "about", since the score is on the lower side. The chart shows that the Mix 2 only managed to outpace the Sony Xperia XZ Premium, based on the same chipset. It is also clear that there is more to squeeze out of the chip, so there is some room for optimization. Then again, MIUI is far from a pure Android experience, so, we can forgive a small dip in raw performance numbers. Especially when you take into account the synthetic nature of these numbers. In real-life scenarios, the Mi MIx 2 is as fast as they come on the current smartphone scene. Moving on to more compound benchmarks, we see a pretty identical picture in AnTuTu. While besting the Sony Xperia XZ Premium by a sizeable margin, the Mi Mix 2 actually falls behind its similarly-specked flagship competitors a bit. Again, this is hardly noticeable in real-world usage. And just in case our re-assurance that the Mix 2 is a perfectly capable 2017 flagship is not enough, enter Basemark OS 2.0. Just like AnTuTu it is a compound benchmark, basing its score on various component speeds and metrics, including storage and RAM, to name a couple. It is a lot more generous to the Xiaomi Mi Mix 2 while handing out scores. Again, a few hundreds variances aside, the conclusion to make here is that the Mix 2 can successfully throw punches with the other 2017 heavy-weights on the Android scene. What about graphics? The ultra-wide 18:9 aspect ratio is sure to leave its mark on performance? Well, yes and no. In this transitional period as more and more manufacturers start adopting ultra-wide aspects, there is bound to be some turmoil in the graphics and particularly gaming department. Yes, a classic 16:9, Full HD handset, like the OnePlus 5 can definitely squeeze more on-screen frames out of the Adreno 540 GPU. However, even with more pixels to worry about in one direction, the Mix 2 handles its GPU potential magnificently. It even manages to outperform the Samsung Galaxy S8+ and Galaxy Note8, also avid early adopters of a wider aspect. It is worth mentioning that even though the Mi Mix 2 will likely have more than enough "oomph" for any Android game you throw at it, most are still made for a 16:9 aspect ratio. Unlike its Galaxy rivals, the Mix 2 doesn't have a native solution in place to stretch and crop. If the game does not wish to scale properly, you are left with black bars. Still, gradually, developers will more than likely adapt and deliver more aspect-fluent content on a mass scale. Basemark X features a more diverse mix of tests, complete with plenty of emphasis on off-screen rendering. It is nice to see the Mi Mix 2 still hold its own, even though the benchmark seems to be clearly favouring the Exynos 8895 and the Mali-G71 MP20 in particular. Basemark ES 3.1 still has enough pixel-generating potential to bring some modern phones down to their knees. The Mi Mix 2 still holds its own with this load, but with plenty of room for improvement. Perhaps an outdated OpenGL ES 3.1 driver is to blame. In any case, like we said before, less than stellar scores are no cause for concern. The Mi Mix 2 is nothing short of impressive when it comes to real-world performance.